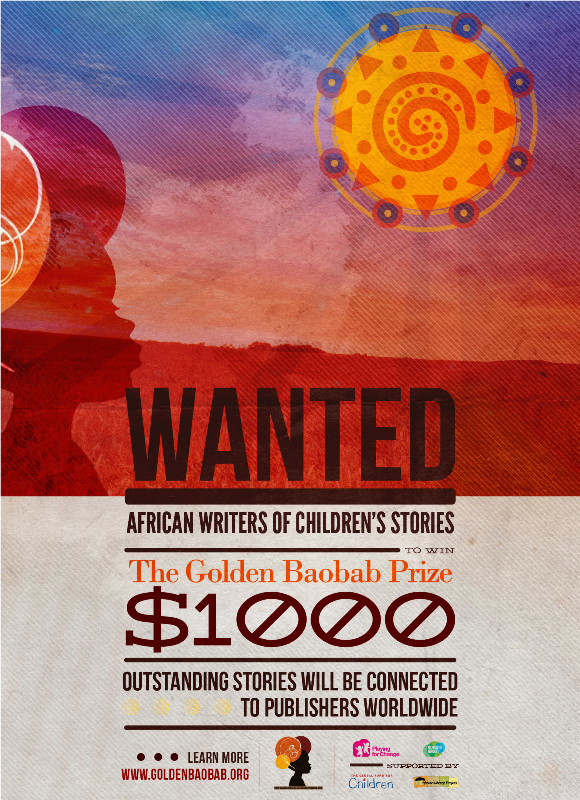 It is a pleasure to announce the ongoing Golden Baobab Prize, a literary award that annually invites entries of unpublished African-inspired stories written for an audience of ages 8-11 years or 12-15 years. The mission of the Golden Baobab Prize is to identify the African literary giants of the next generation and produce excellent stories that will be appreciated for years to come. This year the prize will award $1,000 to the best story in the junior category as well as the senior category and $800 to the most promising young writer (18 years and below). 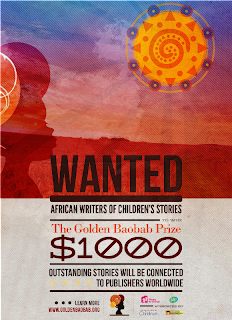 Beyond that, the Golden Baobab Prize offers to connect outstanding stories with African and international publishers. The Prize is open to African citizens of all ages. Deadline for submission is June 24, 2012. 2. Encouraging eligible persons (i.e. African citizens of all ages) in your networks to write and submit their stories. 3. Printing out and putting up our catchy poster. It should only take a minute! The Golden Baobab seeks to ensure that in the next ten years every young African will have access to excellent quality literature that they can relate to. We solicit your support in making this a reality. Please help spread the word. For more information about the Golden Boabab Prize, visit their website: www.goldenbaobab.org. All I'll add is, TWEET THE HELL OUT OF THIS ANNOUNCEMENT! I want to see this trending, people. You're welcome. I hope the blog was able to send some eligible writers your way. Where can I make a personal enquiry?